Here's something I never thought I would write on my blog: I had a kickball game last night. There's a kickball league that my co-workers play in and they needed a dude so I volunteered. It was actually a lot of fun especially since I haven't played since I was probably in high school. Well after the game ended I had some time to kill because Mrs. Shife was hosting a doTerra party at our house. If you are unfamiliar with doTerra here's a link to become enlightened. You're welcome. I ended up going to the mall to meet a new friend. She posted an interesting ad on Craigslist. 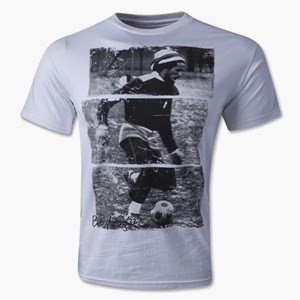 I guess World Cup fever got to me and I wanted a shirt of Bob Marley playing soccer. Sorry I couldn't include my head and arms. Ooops how rude of me. I suppose you might want to see a picture of my new hat too. It's just hard to find a good feathered, horse hat these days. Eventually I killed enough time to come home after Mrs. Shife's party was over. I knew I wanted to wear my new shirt to work but I knew it was too late to start a load of laundry so I was faced with a dilemma. Not as much of a dilemma as that girl in the Craigslist ad must contend with when she goes down the bread aisle at a grocery store. Should I wear my shirt without washing it? I'm sure there are plenty of sanitary reasons why I should but I threw caution to the wind and wore it to work without washing it. Probably going to ruin my chances of running for public office. I guess if I develop an awesome rash I will not need to hire a detective to solve that mystery. So is this a guy thing or do ladies wear newly-purchased clothes without washing them first? Thanks for stopping by. Hope you had a good 4th of July. 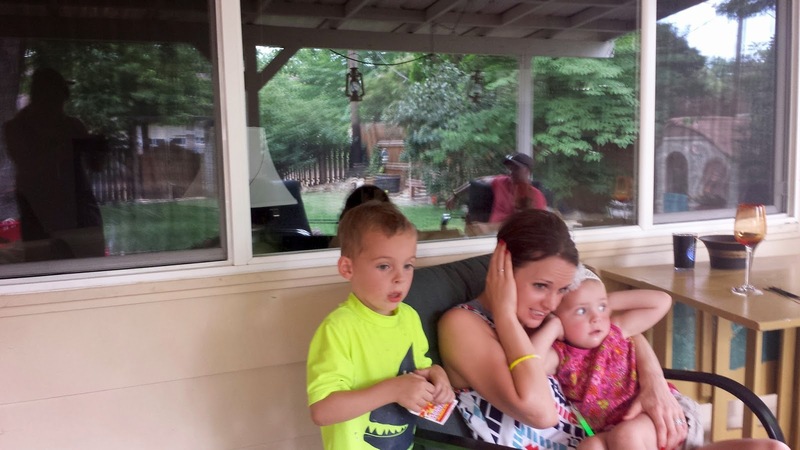 Here's a picture of the kiddos with a friend of ours while I was lighting off some of our fireworks. Hayden might have been a little surprised at the noise or she was hoping to unhear that her daddy used to be Mrs. Epsteen. It depends; thrift store purchase--definately! Brand new; probably not unless it has wrinkles. My daughter insists on washing clothes first before wearing. It kind of defeats the purpose of wearing something new, by the time I get around to doing laundry, it's already old. Kickball sounds like fun, I'm surprised there not a professional kickball league. You know, if there's an essential toast oil and you play your cards right, you could probably be covered with butter and jam by Saturday night. excellent t shirt mr shife. i always found that it was ok wearing a t-shirt without washing it if i'd drank about 8 beers. should be a great game tomorrow. messi vs the mighty krauts. If it comes from anything but a thrift store, I'll wear it without washing it. That is, unless I really see a reason not to. Well this is news to me, Matt. I didn't know you were supposed to wash new things before wearing. Or is it just men's shirts that need to be washed? 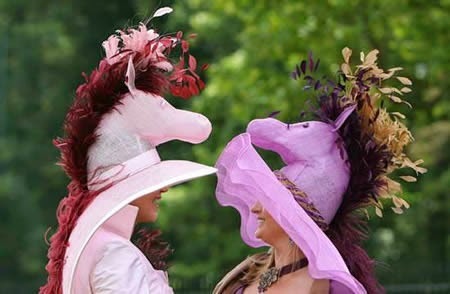 Those feathered horse hats are outstanding. Miley Cyrus' big horse teeth would look terrific in one. You see how I did that? Pointed out a flaw in a celebrity because they can't make fun of me because I'm not famous enough for them to find me? It makes me feel better about them having so much more money than me. Hey, congrats on the new shirt! Don't you just love cool t-shirts? So hard to part with the good ones when they have faded or shrunk too much . . .